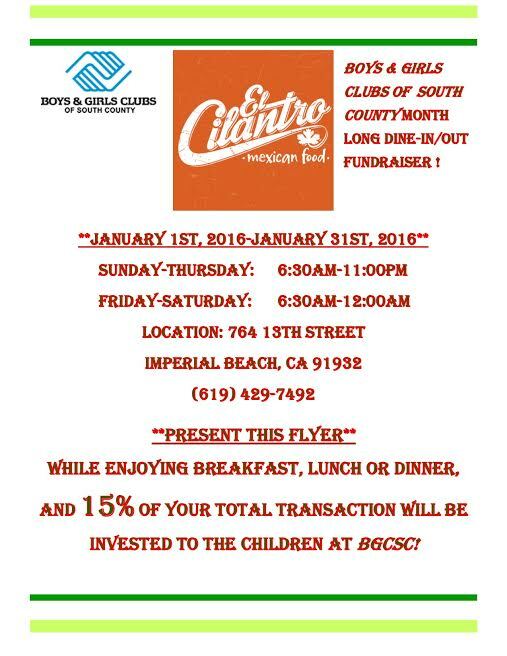 You can help the Boys and Girls Club all Month by eating at El Cilantro all January! You can help the Boys and Girls Club all Month by eating at El Cilantro. Dine in or Take out eat at El Cilantro and they will donate 15% of the bill all January to the Boys and Girls Club of South County. Eat+Drink+Shop Boys and Girls Club of South County.